Your postgraduate research degree will allow you to explore and contribute to an area you’re passionate about while providing you with the opportunity to develop advanced skills in preparation for an impactful and rewarding career. Your supervisor, or co-supervisors, will support you to build your individual training plan, and networking opportunities across the University will allow you to share your work and interests with fellow researchers and academics. The Leeds Doctoral College brings together all the support services and opportunities to enhance your research. You’ll have the opportunity to share your research and get valuable feedback at the annual Doctoral College Showcase. The Leeds Arts Humanities Research Institute (LAHRI) can also offer support to advance your research and career through the Postdoctoral Fellowship. Developing your personal and professional skills is an integral part of your postgraduate research degree. 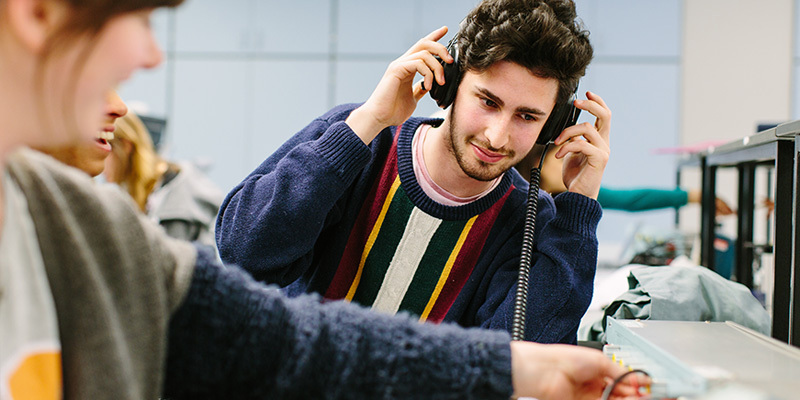 Our informal and vibrant research environment allows you to build networks with staff and fellow students from the School and across the University. The Organisation Development and Professional Learning (ODPL) unit at the University provides free training sessions to new postgraduate researchers. Some sessions are compulsory, and we also encourage you to take other courses that may be useful. If you have an interest in teaching, you can take specialist training which is aligned to the UK Professional Standards Framework for teaching and supporting learning in the UK (UKPSF), and the Vitae Researcher Development Framework (RDF). You’ll also have access to a range of free IT training, either through classroom-based workshops or online resources. The University Library offers additional support and information, with resources specifically tailored towards your postgraduate research.